The Cutest Toys in All the Toy Story Movies The Cutest Monsters in Monsters, Inc. The Cutest Cars in the All the Cars Movies The Cutest Fish in the Finding Nemo Movies Favorite Characters in Pixar Universe Easter Eggs in Inside Out Emotional Scenes That Got You Misty-Eyed Best CGI Cartoons Every Pixar Movie, Ranked Fan Theories to Think About 100+ Easter Eggs in Every Movie Adult Jokes You Never Noticed Fun Facts About Inside Out Adult Jokes in Finding Nemo References to 'The Shining' in Every PIxar Movie Movie Plot Holes You Can't Unsee Fun Facts About Toy Story Films Adult Jokes in Monsters, Inc. Finding Dory Species IRL Are All the Movies Connected? With dozens of animated and computer-generated family movies in their library, Pixar certainly takes the cake for kids' movies and their many successes have brought us many classic movies as well as many classic one-liners from these movies. The best Pixar movie quotes remind us of our favorite characters and scenes from the likes of the Toy Story franchise and other great movies like Cars, Monsters, Inc., Finding Nemo, The Incredibles and more. Whether you're a fan of Ratatouille, A Bug's Life or the classic Toy Story, you likely have a favorite Pixar character. 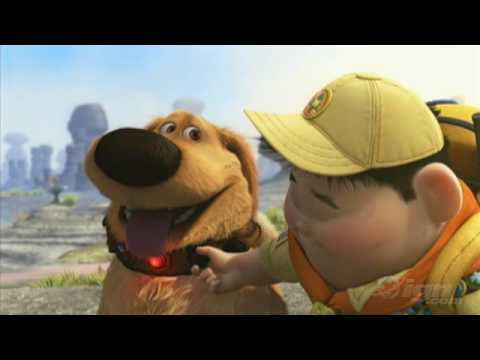 With so many to choose from, it's easy to find one to fall in love with and these Pixar movie quotes bring us back to those moments where we were touched, entertained or humored by our beloved characters. Tell us which Pixar quote is your favorite by voting for your most loved below or adding a quote we've missed below! Buzz Lightyear: "Right now, poised at the edge of the galaxy, Emperor Zurg has been secretly building a weapon with the destructive capacity to annihilate an entire planet! I alone have information that reveals this weapon’s only weakness. And you, my friend, are responsible for delaying my rendezvous with Star Command!" Woody: "YOU! ARE! A! TOYYYYY! You aren’t the real Buzz Lightyear! You’re — you’re an action figure! You are a child’s play thing!" Buzz: "You are a sad, strange little man, and you have my pity. Farewell." Buzz Lightyear: "To infinity, and beyond!" Dug: "My name is Dug. I have just met you, and I love you." 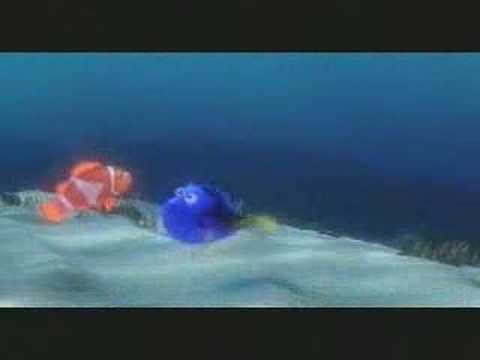 Dory: "I suffer from short-term memory loss... No, it's true! I forget things almost instantly. It runs in my family! Well I mean... at least... I think it does. Hum... Where are they? ... Can I help you?"